Whether you are after a grand or minimalistic conservatory with a traditional or contemporary feel, our conservatories offer first class engineering as well as superb value for money. Oakland supply and fit an extensive range of conservatories, suitable for both small and large homes in and around Chelmsford, Essex. With a vast amount of styles available, you will find the perfect design and aesthetic to complement your existing property. A range of hardware options and attractive colours ensure we can provide you with a beautiful conservatory of the highest quality. A new conservatory is the best way to relax and enjoy the outdoors, especially when you want a place to retreat to in the evenings in the long summer months. The quality of the materials and our craftsmanship are the perfect match. We build conservatories you can enjoy all year round. Are you torn between a complete replacement project or just a new conservatory roof? We have the knowledge, experience and latest designs for both. You can transform your existing conservatory into a living space you can enjoy all year round with a beautiful new Ultraframe conservatory roof system. A Victorian conservatory design is probably the first image that most people think and it remains the most popular choice. The classic style is available with three or five facets to provide that traditional appearance that works brilliantly with any property in Chelmsford, whether new build or period property. The striking yet elegant design of our Victorian conservatories usually come with a steeply pitched roof with detailed decorative finials. The bay front is in contrast to the block shape of most buildings, making them excellent for complementing your existing architecture. With inspiration taken from the Victorian period, you will gain an aesthetically pleasing, fresh and light conservatory with all the benefits of modern double glazing. Create a fantastic living space for your home in Essex that you can use throughout the year. 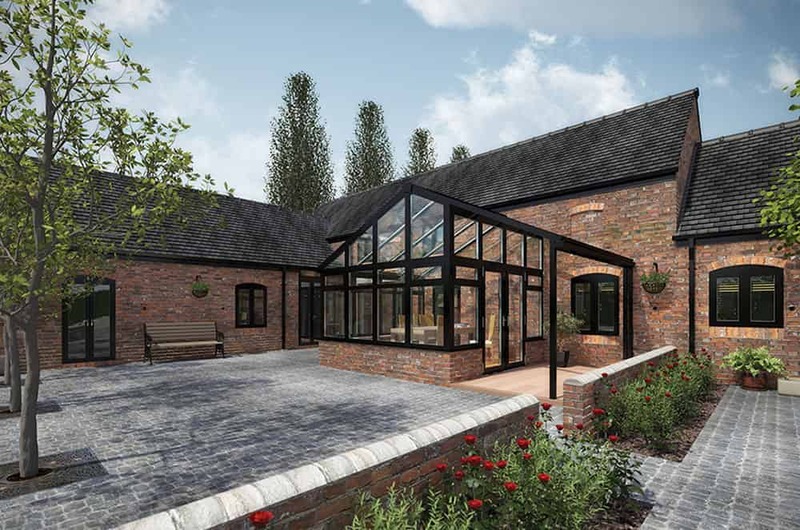 The classic Edwardian conservatory design is the ideal choice for homeowners who want to maximise their additional space while maintaining a sophisticated aesthetic. The visually appealing Edwardian conservatory offers clean lines and a square or rectangular dimension. Excellent for maximising light and space in your Chelmsford home. The generous floor plan offered by our beautiful Edwardian conservatories enables you to comfortably fit furniture into its shape. The more practical form allows for a broader range of possible uses including a dining room, playroom or space for entertaining. 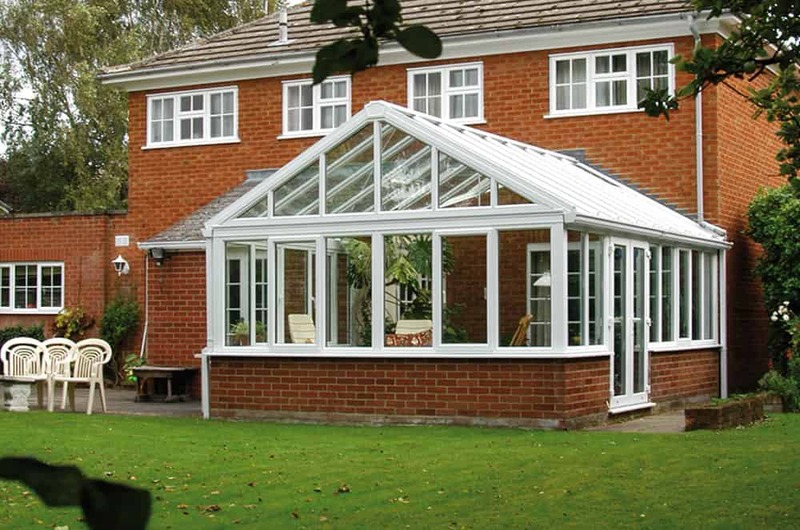 Our high-quality engineering means you can enjoy your new Edwardian conservatory for many years. Fulfilling the potential of your home in Chelmsford, Essex with an additional inside space which you can enjoy the whole year round. Gable or gable ended conservatories provide a stunning visual impact. The high pitched roof, upright front and intricate decorative detail offer a sense of grandeur that has a heritage feel and period charm. The design invites natural sunlight to flood the interior area, opening up the room with an enhanced sense of spaciousness. A popular choice to embellish the spectacular aesthetic is the addition of the “Rising Sun” motif. Located on the triangular front, this beautiful design option offers a touch of class and period charm that will set your home apart from your neighbours. 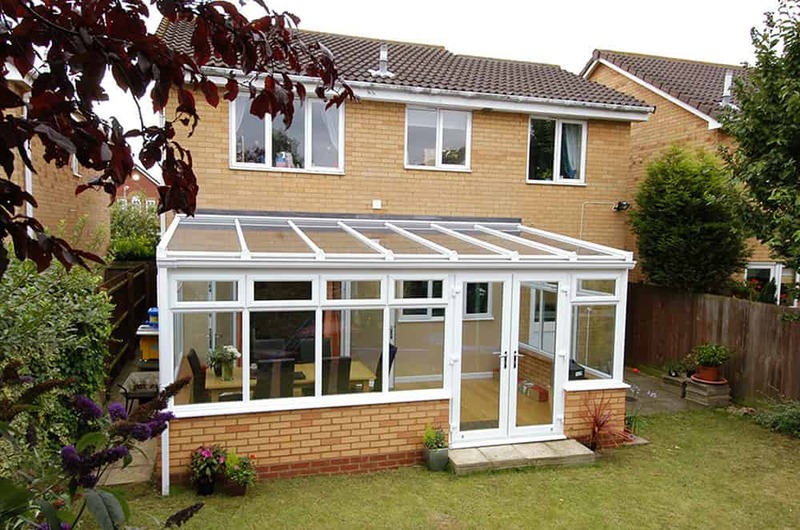 This style of conservatory is a great way to increase light and air into your home with the high pitched roof. Its grand and stately appearance is perfect for period properties but can work just as well with any style of home in Chelmsford. A lean-to conservatory in Essex will be a great option if you wish to create a seamless link between your home and garden. The minimalist design complements a vast range of property styles while also proving to be the most practical and versatile conservatory available to homeowners in and around Chelmsford. The clean design works well for terraced houses, bungalows and properties with low eaves. The lean-to conservatories are also well suited to properties which have awkward shaped or smaller gardens, making them popular with many homeowners. The simple design results in lean-to conservatories being not only versatile but cost-effective, increasing their popularity further. For an affordable conservatory that offers style and efficiency, the lean-to conservatory is an excellent choice. 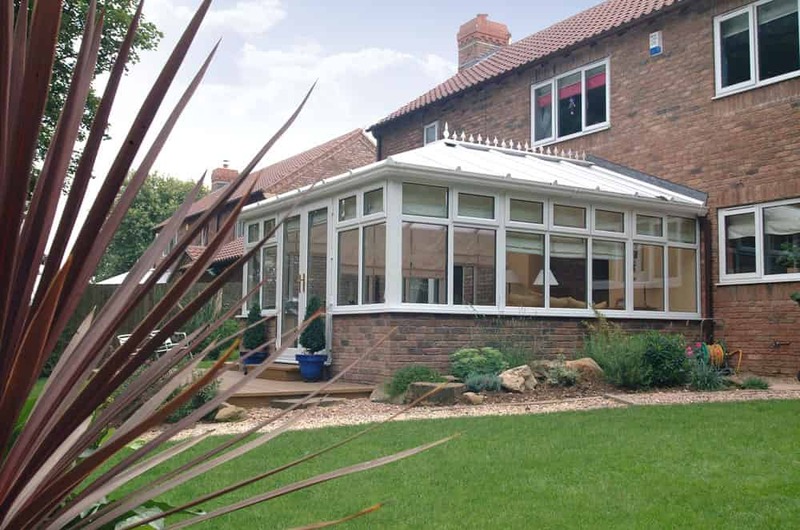 A bespoke conservatory is an ideal solution for larger, detached properties. They are tailored to optimise the available space of your garden and provide you with many options in how you would like to use the extra indoor space. Create an extended dining room, lavish entertaining area or a comfortable space to retreat from everything. With a combination of lean-to and either Victorian or Edwardian designs, you can create a large open plan living area which can be used for a broad variety of purposes. You also have the option to create two distinct additional rooms. A highly versatile option, their beautiful construction extends into larger garden areas, connecting your home and outdoor space in one swift transition. With a world of choice, get the conservatory of your dreams with a bespoke conservatory. Oakland home improvements offer competitive conservatory prices to homeowners in Chelmsford, Braintree, Basildon, Billericay, Brentwood, Ongar, Doddinghurst, Hook End, Harlow, Epping, Dunmow, Stansted and throughout Essex. It’s easy to get your tailored conservatory quote from the comfort of your own home. 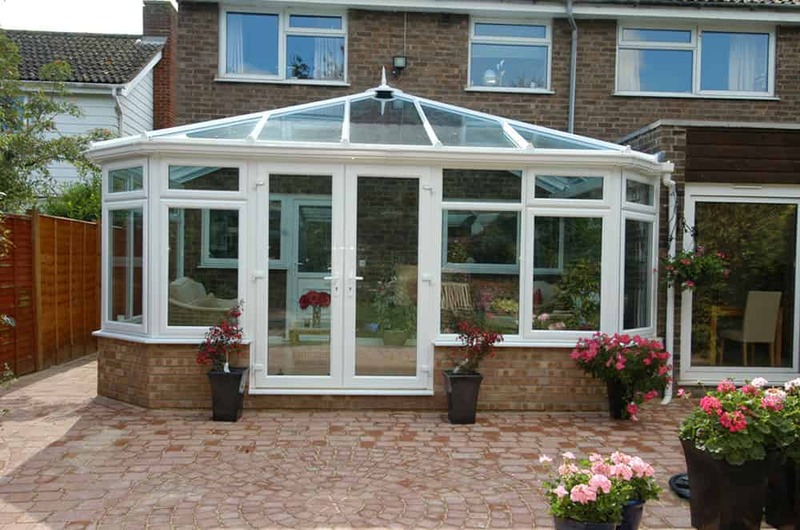 Visit our online quoting engine, and you can get your personal conservatory quote in moments. Simply enter a few details, and you can design your very own conservatory, just the way you want it and to your exact specifications. If you prefer, you can get in touch via our online contact form, and one of our friendly team will answer any queries that you may have. Alternatively, why not give us a call on 01277 365 988 to speak to our experts today.